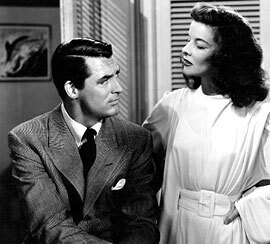 Jimmy Stewart: The Philadelphia Story (1940) – Did You See That One? By the end of 1940 Jimmy Stewart had completed 28 films and won numerous awards and accolade from his peers. 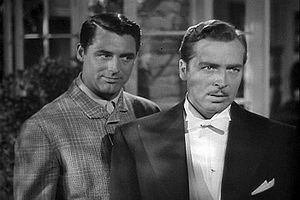 By the end of 1940 he’d also have a Best Actor Academy Award for The Philadelphia Story, his only competitive category Oscar. 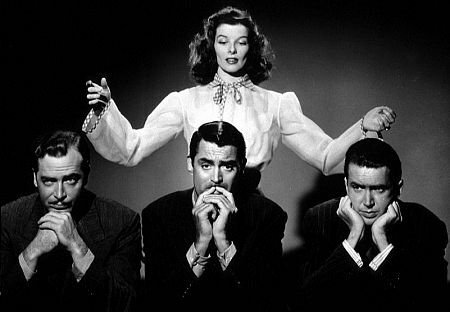 The Philadelphia Story was directed by another Hollywood legend George Cukor who also directed A Star is Born, My Fair Lady, and Adam’s Rib. The story is about the upcoming wedding of socialite Tracy Lord (Hepburn) to George Kittredge (Howard). As the final weekend arrives she’s frustrated to find her ex-husband has arrived along with a couple of “family friends”. The “friends” are working for Spy Magazine” where the ex-husband, C.K. Dexter Haven (Grant) used to work. Dexter is eager to help the magazine he used to work for. Although Tracy isn’t fooled but she allows them to stay when Dexter hints at a damaging article about her father that could come out. Reporter Macaulay “Mike” Conner (Stewart) is left to cover the event despite his lack of enthusiasm and disdain for high society. As the weekend goes on Tracy is forced to see the truth about herself as she interacts with her fiancée, Mike, and the rest of her family. As the wedding approaches Tracy is forced to deal with her newfound feelings. In the end her feelings become clear and she’s forced to act on them. The ending works perfectly in this light-hearted film about love and marriage. This film was an instant success and continues to be seen as a timeless classic. At the time it was released it broke box office records including at the Radio City Music Hall which took in over $600,000 in its first six weeks. In addition to Stewart’s Oscar his co-star Katharine Hepburn won an Oscar as well. The film won a total of 6 Academy Awards beating out other great films like The Grapes of Wrath and Our Town. This film’s impact has lasted well past its release. In 1995 the Library of Congress declared the film to be “culturally, historically, or aesthetically significant” and selected it for preservation in the United States National Film Registry. Jimmy Stewart wasn’t expecting to win his Oscar for The Philadelphia Story. In fact, he’d planned on skipping the awards and had already voted for his friend Henry Fonda in the Best Actor category. He was “motivated” to attend by a phone call and recieved the award. He later said that he felt the award was given to him as compensation for his failure to win the previous year for his role in Mr. Smith Goes to Washington. Despite his thoughts on the award Stewart gave an incredible performance as the quick-talking writer Mike Conner. This film would be the last film of Stewart’s before he left for war. With World War II breaking out Stewart had enlisted and was commissioned as a second Lieutenant in January 1942. 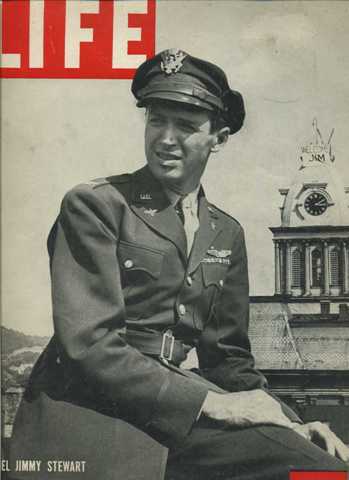 He was posted to Moffett Field and then Mather Field as an instructor pilot in single- and twin-engine aircraft. He would make limited public appearances to help recruiting for the Army Air Forces. During the war Jimmy’s father kept his Oscar in the front window of the family business. Stewart would remain in the military long after the war eventually rising to the rank of Brigadier General. Following The Philadelphia Story his next film would be Frank Capra’s It’s a Wonderful Life. Pingback: Jimmy Stewart: It’s a Wonderful Life | Did You See That One? 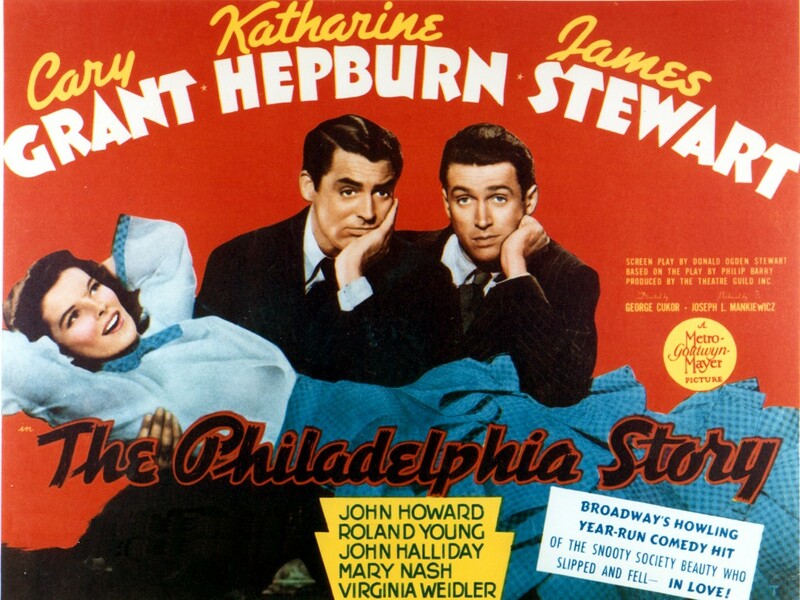 Pingback: Jimmy Stewart: You Gotta Stay Happy (1948) | Did You See That One? Pingback: The African Queen | Did You See That One? Pingback: Charade | Did You See That One?